"I love it on acoustic guitar, piano, strings, percussion, and as a room mic on any source. It was a go-to mic this year for sessions with Metric & The Kills." Designed with Mr. Rupert Neve, the RN17 redefines the capabilities of an SDC. This is the world's first pencil microphone with a large-scale, hand-wound, ultra high performance transformer. The second product of the sE / Rupert Neve collaboration, work on the RN17 began with a discussion between Rupert and Siwei Zou on the merits and problems of small-diaphragm condensers. "I said, 'That transformer is too big. This is a small-capsule microphone. Impossible.'" According to Siwei, "The SDC's problem is that they have a very clear sound - the SPL is high, but the sound is very cold, not like with a large diaphragm. The quality of the transformer can make the sound much, much better - but with a small transformer, nobody can do it." "Rupert told me, 'I want THIS transformer.' I said, 'That transformer is too big. This is a small-capsule microphone. Impossible.' He said, 'I want the impossible to be possible.'" With a 15mm diaphragm (the world's smallest production gold-sputtered diaphragm), the transient response of the RN17 is unparalleled. Such a small capsule reacts extremely quickly, and is therefore adept at picking up the most delicate of high-frequency content. However, a tiny diaphragm usually results in a lack of low-frequency response. How to counter this? Made obvious by the unusual chassis shape, the RN17's transformer is substantially larger than the norm. This full-scale transformer was custom-designed by Rupert Neve specifically for this microphone - and nobody has been designing audio transformers longer (or better) than Rupert Neve. With an audio transformer of this magnitude, the RN17 is able to put out astonishing clarity across ALL frequencies - not just the highs. The midrange is detailed and forward, the lows are full and accurate, and the whole microphone has a balance and headroom never before achieved with a small-capsule microphone. The matte black finish minimizes the level of visual attention drawn to the microphone when used on stage or in the studio, allowing it to blend into the background. 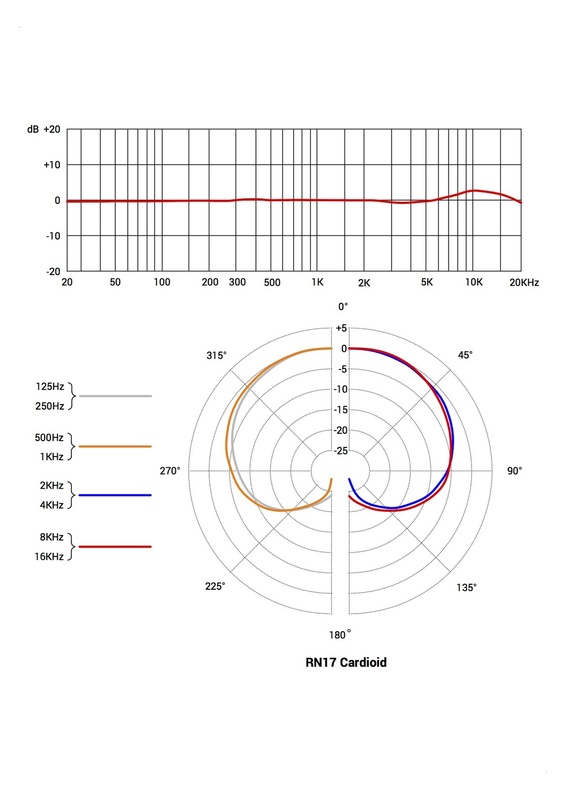 The RN17 ships standard with a cardioid capsule, but an omnidirectional capsule is also available for purchase separately. Every RN17 includes a custom-designed, sturdy, protective, and easy-to-use shock mount, which is essential to reducing the unwanted effects of vibration or knocks to the supporting microphone stand. 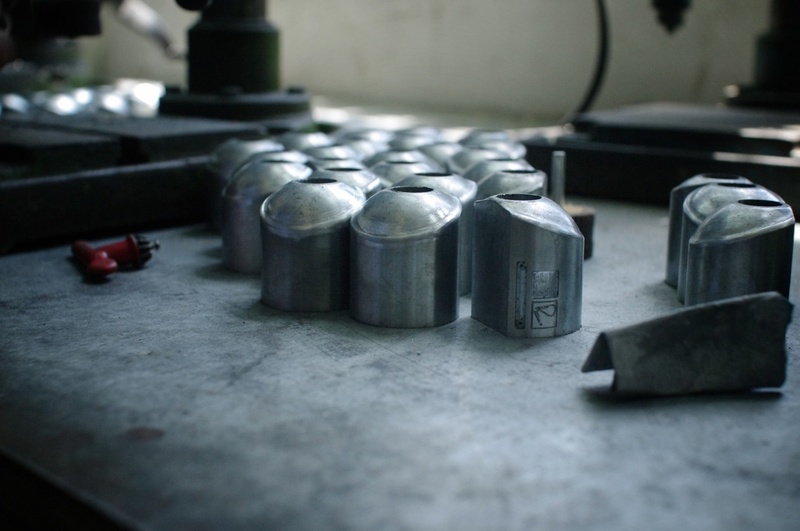 When purchased as a pair, the transformers and cardioid capsules are factory-matched for perfect tolerance, guaranteeing the best possible stereo image. This configuration also includes a precision stereo mounting bar, two shock mounts, a wooden presentation case, and empty canisters for future capsule additions. The whole setup comes packaged inside a secure flight case. Especially when used with an RN17 Stereo Pair, these omnidirectional capsules can be used to capture amazing room effects for drums, pianos, and orchestras. Available separately in singles or pairs. "The RN17 has become my desert island microphone. If there was one microphone I knew I could take with me that would get me out of trouble, it’s this...The clarity and the detail I get is wonderful, especially for one of the things I do a lot of, which is sampling - this is a perfect sampling microphone, because it has that reality that you need, with low noise, but it also has just a little bit of extra something." "The RN17 is my new favorite small diaphragm condenser mic. It's incredibly detailed in the higher frequencies and has a weight in the lower mids that was traditionally compromised in pencil mics. I love it on acoustic guitar, piano, strings, percussion, and as a room mic on any source. It was a go-to mic this year for sessions with Metric & The Kills." "They’ve got a really elegant, smooth brightness to them. Not overly so...crystal clarity, but they’ve also got this forgiving warmth too." "Using the RN17 on acoustic guitars again today - what a revelation. Makes me want to go back & re-record every acoustic guitar I've recorded since 1988." "As a drummer & recording engineer I was looking for overhead mics that could handle both the fast transients and the low end of a drumset. I found them in the sE Electronics RN17 stereo pair. Excellent mics!" "The RN17s are the perfect percussion and guitar mic. The extremely accurate and quick transient response is perfect for capturing all the nuances that come off of the guitar...our RN17s have been a god-send. They capture every transient perfectly." "The sE RN17 has it all. Every positive adjective I can use for any of these other mics, they all apply to this one. Smooth, balanced, warm, present, articulate… it’s like somebody went through these tracks and EQ’d away every bit of high-end hash and low-frequency wooliness and left behind just the stuff I want to hear. The bottom is tight, like the C460B, but the sE RN17 hears farther into the room than the AKGs do. The top is ever so slightly sweeter than “natural,” but not hyped. I would use the hell out of these mics. My compliments to Mr. Neve and Mr. Zou!" "My first session was recording percussion, and the first comment by the percussionist was, 'Wow, this shaker sounds huge! '...I can’t think of any condenser mic that reproduces cymbals, hat, and other metal percussion as cleanly as this mic." "Close mic’ing a 9 ft grand piano with a stereo pair of RN17s showed the mic’s superb imaging and large, natural sound...for featured piano music, especially classical or jazz, this mic will become a standard." "The RN17’s cost is up there among most revered names, but the RN17’s features like interchangeable capsules, superb build quality, excellent sound quality, and association with Rupert Neve assure the longevity and future classic status of the RN17." 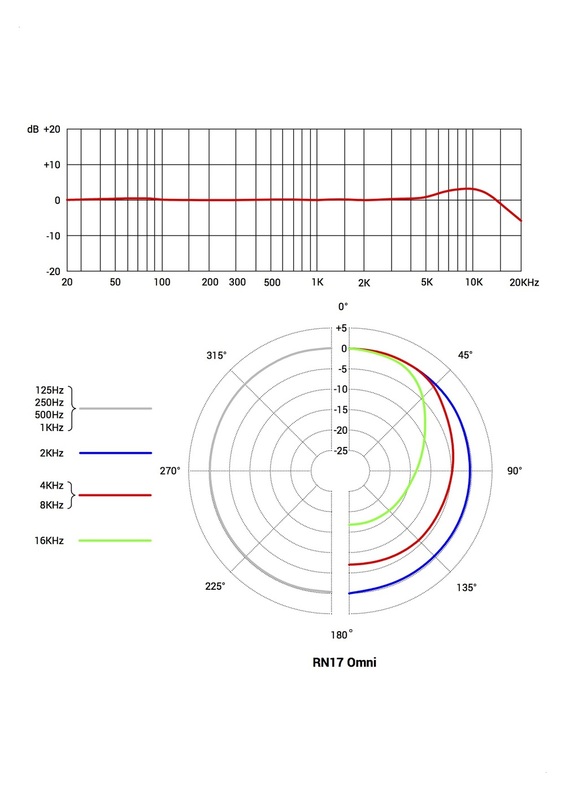 "On a subjective level, the RN17s do have something of a signature Neve sound, where the presence of a high-quality transformer seems to add a sense of weight and solidity to the sound without actually changing the tonal balance in any obvious way - rather like running a signal through a good analogue console." "Lows remain deep and controlled while the highs are smooth yet don't in any way lack detail or definition." "The RN17 gives the user a clean sound in a way that is almost shocking. This does not hit you at first and you may even be tempted to think that they lack top end – but when you work these mics with a good EQ, you get to hear just how pure the output really is." "The session’s results exceeded my already-high expectations. The RN17 pair showed detailed dynamics, very stable imaging, unexaggerated brightness up top and plenty of bass without murkiness, providing more bottom than most SDCs I’ve used...the varied responses of the RN17’s omni and directional capsules gave me the sonic options I needed, all conveyed with musicality, truthfulness and an accurate reproduction of dynamics."